This scene shows a wounded tiger turning and attacking his pursuers. The incident is described in ‘Sport in Many Lands’, a book written by H. A. L (Henry Astbury Leveson) ‘The Old Shekarry’, one of the most famous game hunters of Victorian times. I feel very ambivalent. On one hand, we wanted to have accurate historical representations of life in India, especially artistically skilled representations. On the other hand, the brutality was sickening. Including the more modern gallery of gun and knife crimes. It is! The scene can also be viewed from above, looking down on the tiger. I really enjoyed this museum. You can easily spend a day there. There is a lot to see. For me some displays are more interesting than others. Nowadays most people have moved on with their thoughts and do not like the hunting of animals for sport. They think the practice is barbaric. I think the display is very realistic and shows that it was quite the hunt. Now we know better, hoever I think they still hunt in “secret”. Sometimes I wonder, what is it in some human beings that they have the need to kill and have to own a lot of guns… but that is a different discussion all together. 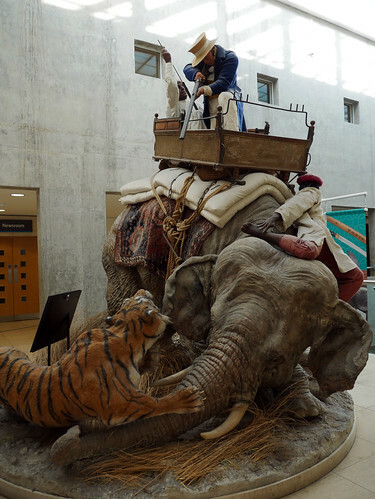 It is good that the museum shows the hunt and I think they did a great job with the realistic displays. I agree that nowadays most people know better. But as you say, some human beings still feel the need to do this. The museum also had a display on more recent gun and knife crime and those that had been affected by it. This display disturbed more than any other exhibits and themes in the museum. This is astonishing, CP. 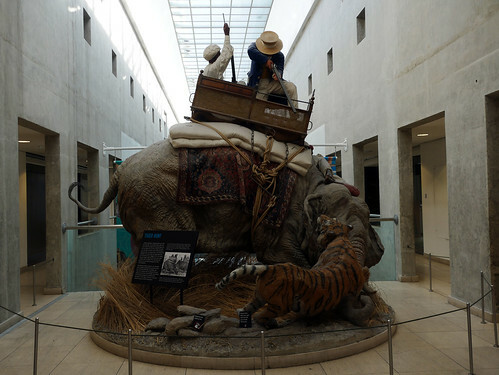 I’ve been meaning to visit the Royal Armouries in Leeds for years and haven’t made it yet. Seems like you’re having/have had a cracking trip! We had a great mini trip I am a bit slow in posting about the places we visited. Unfortunately, tigers are on the endangered species list now. Not so many left to be seen. Well… the tiger was being hunted. It could stand its ground or flee. The tigers reaction was instinctive to the situation it found itself in. I am not a fan of game hunters either and agree with you that the only excuse for hunting is to provide food. 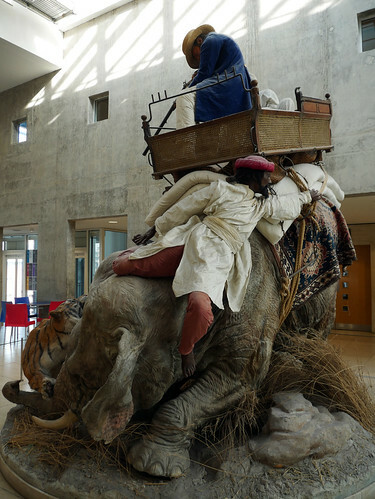 Sitting in a wooden box atop a swaying elephant is what makes it a dangerous ’sport’. The actual hunting wasn’t the ’sport’ bit. That was an essential, like plumbing or shingling your roof. OK. Perhaps not quite like plumbing and shingling. But the tigers used to kill people. In a really grusome way. Small children too. And old ladies. So tackling that menace required chaps willing to risk being lobbed off the back of an elephant. It would have been less fun just walking. I agree, that sitting atop a wooden box and needing to be in close contact with the tiger to combat him is a skill. Unlike modern day trophy hunters that can shoot to kill from a distance without fear of their life. That is not a skill. I would need to read the book ‘Sport in Many Lands’ to establish if Levison was protecting people or just enjoying the hunt. I am not a fan of hunting either. But the account is interesting.